Just in time for all of those New Year’s resolutions, a package arrived in my studio today. 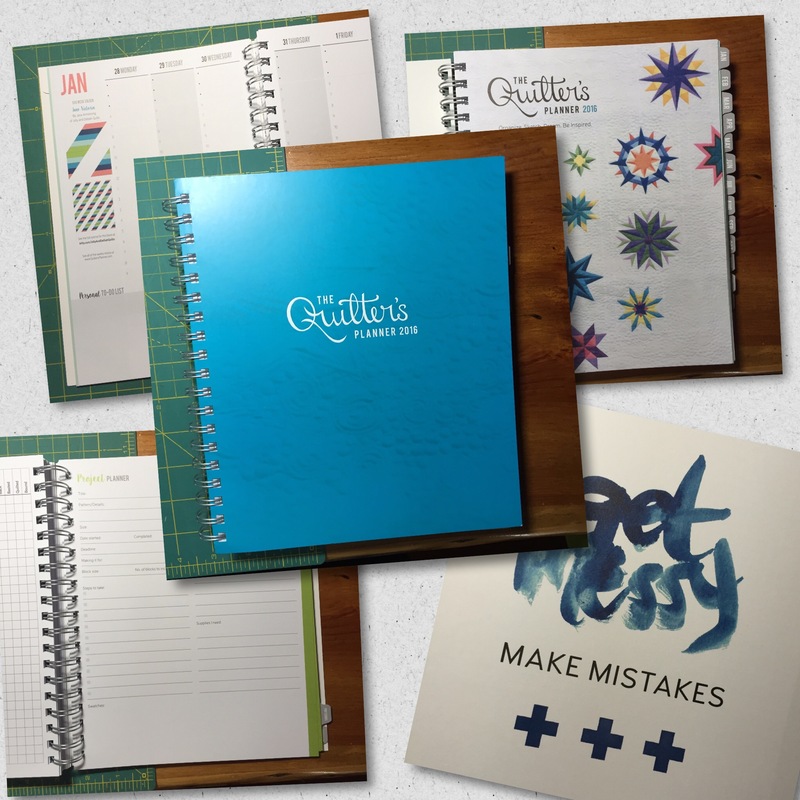 If you are not familiar with this wonderful tool for planning out 2016, check out the website, http://www.quiltersplanner.com. I heard about it through the founder’s very effective IndieGoGo campaign, and couldn’t resist…because there is something irresistible about a good low-tech format for plotting out those deadlines! I like the fact that the project planning pages are formatted for any kind of project, and the production values are quite nice. The monthly and weekly layouts are great, and there are lots of inspirational quotes sprinkled in (you see my favorite in the photo!). The patterns for blocks and quilts are modern in flavor, and I will find them helpful when I need to make a functional lap or baby quilt as the year goes on. What are your favorite tools for organizing your plans and dreams? This entry was posted in Uncategorized on December 30, 2015 by neonkittyquilts.